Hey folks! Hiking is one of my favorite pastimes. We haven't done it as much as I would like since we've moved back to Indiana, but I'm hoping to change that soon. However, having two children now instead of just one has definitely presented some new and unique challenges. 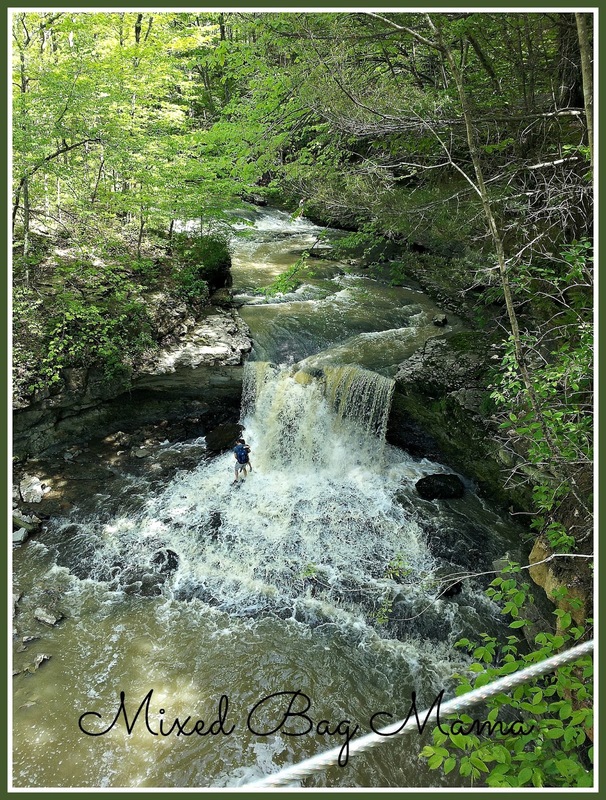 In spite of the struggles now, I wanted to share some valuable tips if you would like to start getting outdoors/hiking with your little ones too! Take plenty of supplies. Pretty much transfer your diaper bag supplies to a backpack (these items will depend on your child's age and how long of a hike you're going on too) and include extra drinks. This will likely include snacks, drinks, extra clothes, diapers and changing supplies, as well as a few special supplies listed below. Douse yourselves in kid-safe bug spray! (And sunscreen, if needed.) Ticks are REALLY bad this year! While definitely gross, don't let that put you off from getting outside. Wear proper attire. I feel like this goes without saying, but I'm putting it out there anyways. Make sure everyone has appropriate, comfy walking shoes; take layers if it might be chillier at the beginning or end of your hike. With that being said, make sure you check the weather ahead of time too! 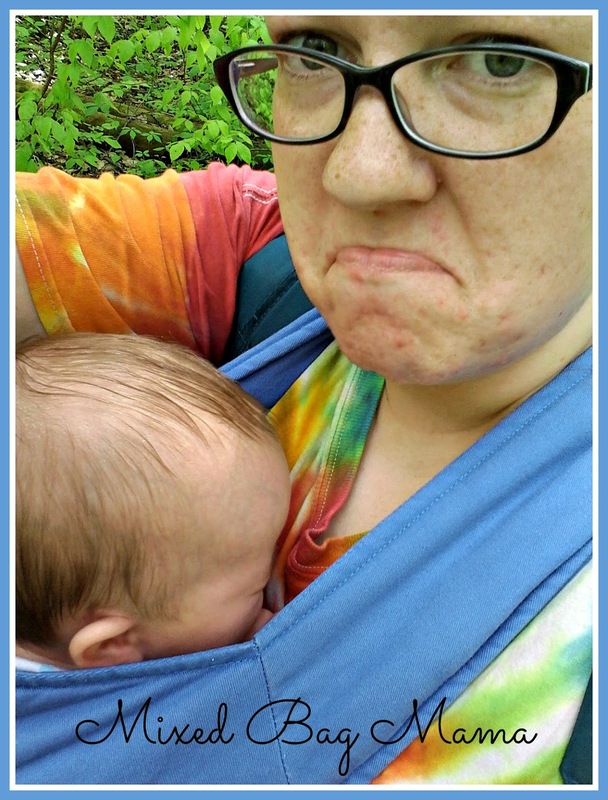 Use a comfy baby carrier! (Or jogging stroller, if applicable, since they tend to do well “off roading”.) 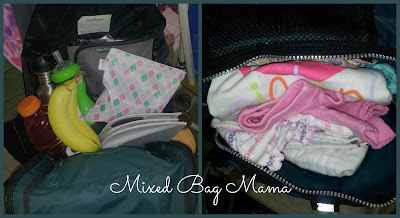 If you have little ones who need or may want to be carried for part of the journey, do yourself a favor and get/use whatever carrier is most comfortable for both of you. I did a mile hike with both kids when Ripley was only a month or so old, using the baby wrap, and it was effing miserable. Make sure everyone is well fed before you leave. Recognize what's going on here? I'm an idiot and don't take my own advice most times and didn't MAKE her use the bathroom before we left. Can't imagine why the rushing waterfall was getting to her! Make sure everyone uses the bathroom before you start too! Teach your kids to pee outdoors. Yes, even girls! In fact, especially girls! Little kids have little bladders. It's inevitable, even if they go before you start, that they will probably need to go at least once while you're out. Teach your kids to have a healthy fear of certain critters and plants, such as snakes and poison ivy. Obviously, don't scare them to death, but teach them the importance of leaving critters alone and that some can be dangerous, especially if they feel threatened! Have your child bring a “treasure basket or bag”. What kid doesn't love gathering treasures from outdoors? This will keep them entertained, be a fun learning experience, and they can show their collection to other friends and family when they get home! Take a buddy. Especially if you have more than one kid. The extra set of hands can be helpful, of course, but I know I always feel safer and more confident if I have someone else with me. At the very least, if you're worried about being by yourself too, try to find an area where other people are hiking. We visited the waterfall at McCormick's Creek State Park in Indiana on their free gate entrance day May 1st. Be patient and keep your expectations low. I struggle with this myself. I just want to go, go, go and I hate having to stop for any reason. (Or take forever to get going in the first place!) Also, be patient with your kids. They may have more energy than us, but little kids' legs tire out a lot faster than ours. Set reasonable expectations. 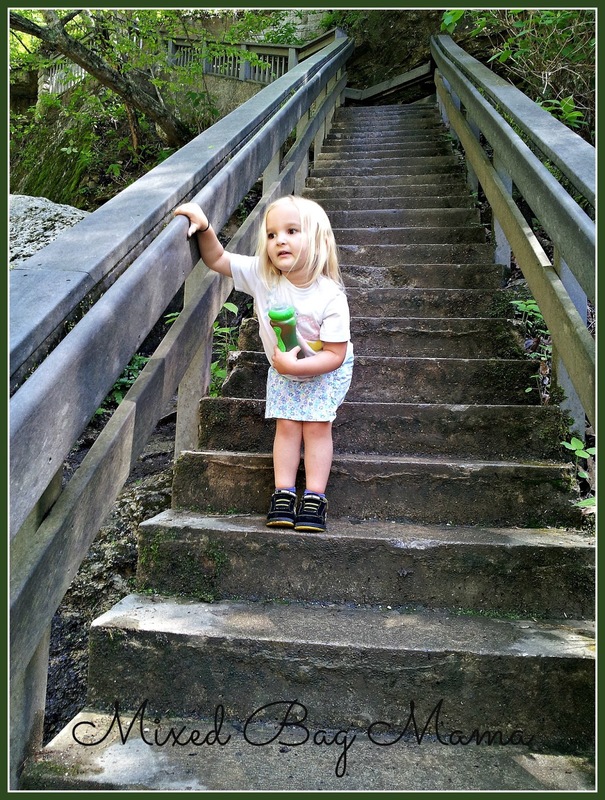 You're probably not going to be able to do a 4 mile hike with a toddler or preschooler. A half hour to an hour is a reasonable starting point, I think. If you happen to go for longer, then that's just a happy bonus! 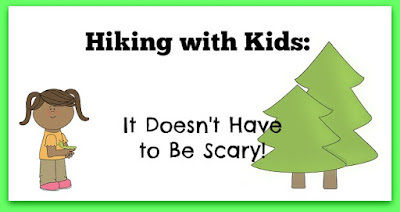 Do you go hiking with your kids or do other outdoorsy type activities? What suggestions would you add to my list? This sounds like a blast! 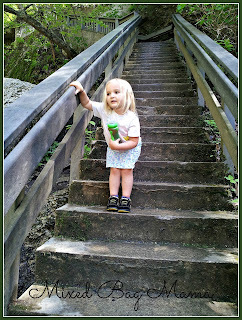 I have never taken little E hiking but I'll have to try now! Thanks for the tips and linking up with us for some #mommatime! I am still scared of taking my kids hiking! Lol. Especially my rambunctious 17 month old. I know he will fall over a cliff somewhere when I'm not looking at him for the 2 seconds it will take for me to check on the other kids lol. I think I'll wait until they are all adults to take them hiking haha. lol I totally understand! I'm only 5'3". Kids get heavy fast! Definitely take a treasure basket along when he gets older and you take him out more. He'll love it!